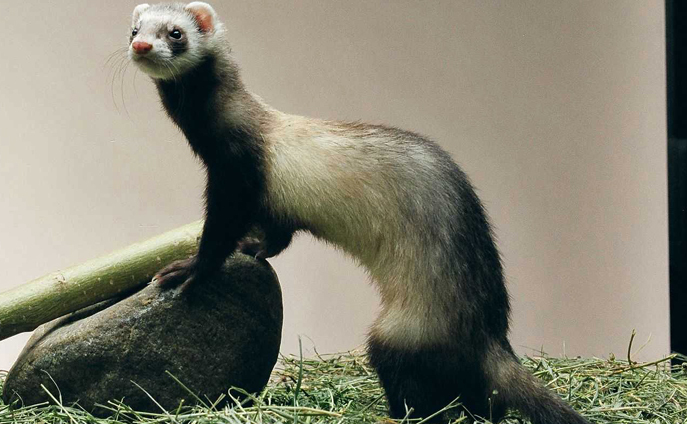 Scientists believe that ferrets may have been domesticated from native European polecats (Mustela putorius). The native habitat of the polecat includes forested and semi-forested areas near water sources. Polecats are carnivores and prey on rodents and rabbits. Domestic ferrets have no restrictions on their range and live throughout the world. Domestic ferrets often sleep 18-20 hours per day and are more active at dawn and dusk.